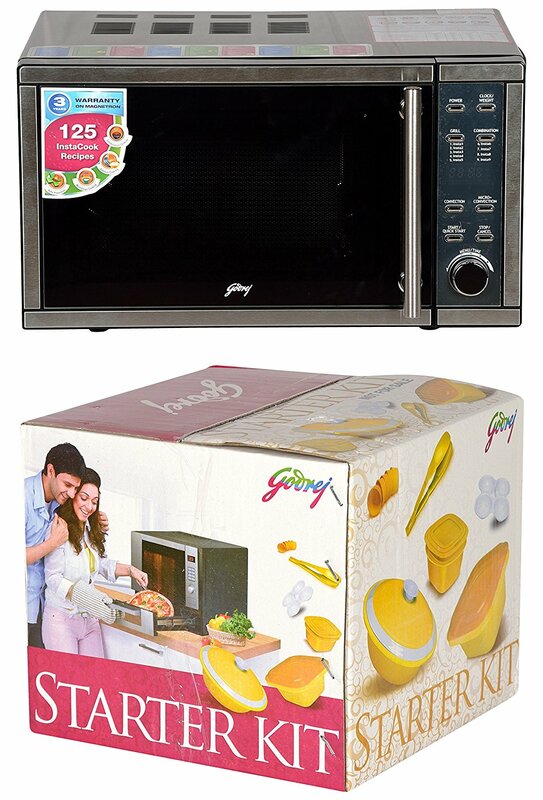 Godrej 20 L Convection Microwave Oven (GMX20CA3MKZ, Silver) uses advanced technology for good comfort and convenience. It has express cooking that is good for setting cooking time for later time. It has an auto reminder with sound capability that beeps at one-minute interval until the door is opened. Further, this Godrej convection microwave oven has multi-stage cooking capability letting you set a sequence of many cooking stages. 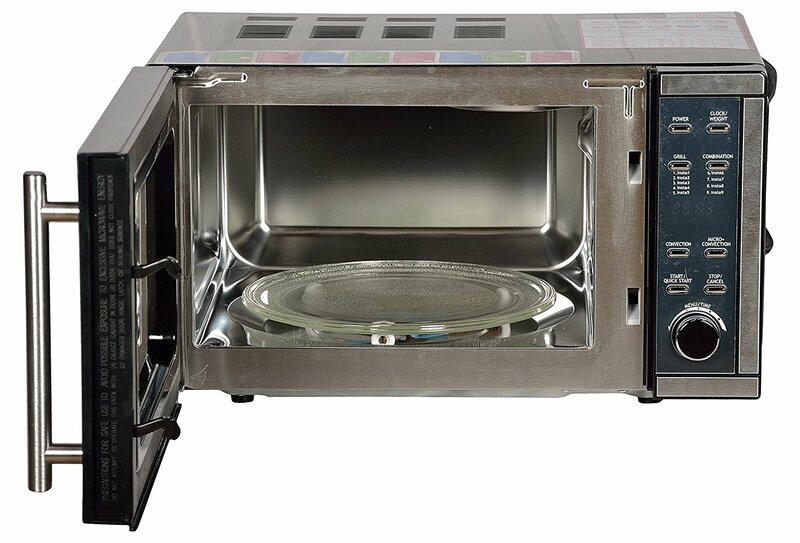 This 20 liters microwave oven lets you defrost very easy with the help of jet defrost feature. 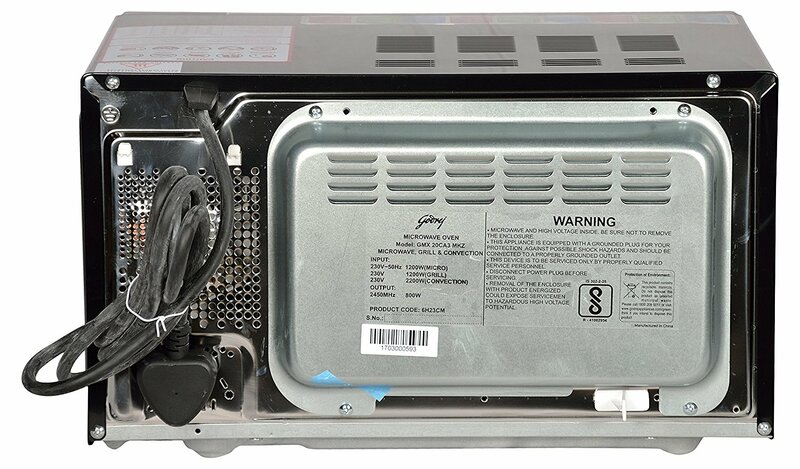 Further, it carries a concealed quartz grill that has good heating capacity. 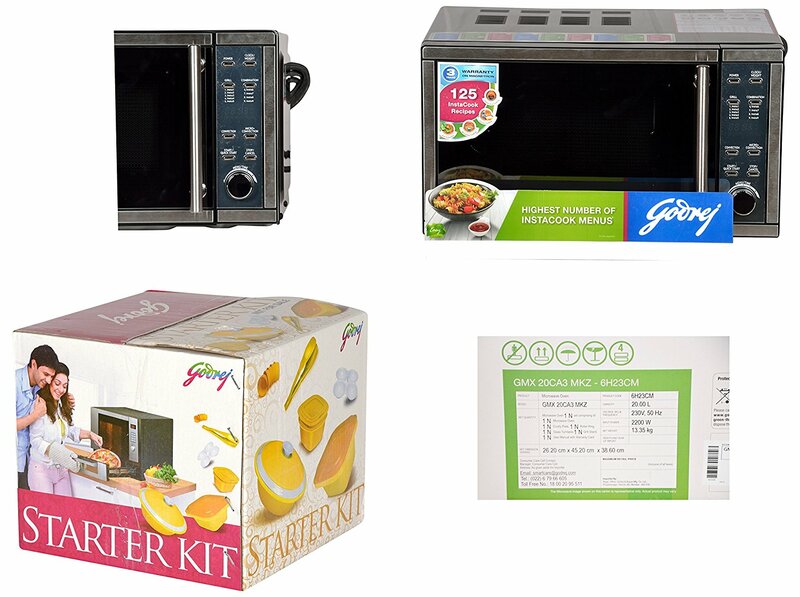 This Godrej microwave oven also comes with a child lock feature so that you can lock setting to disallow child access or other unauthorized access. 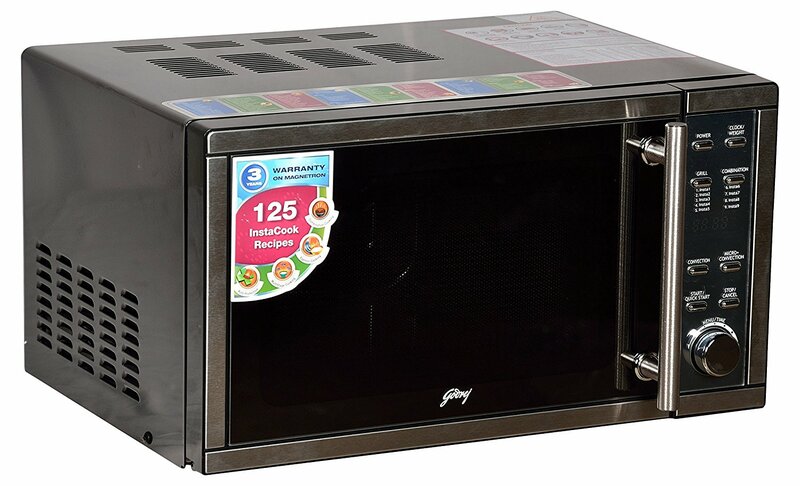 Further, this Godrej convection microwave has stainless steel cavity that greatly enables reflection and uniformity providing evenly distributed heat for healthier cooking. 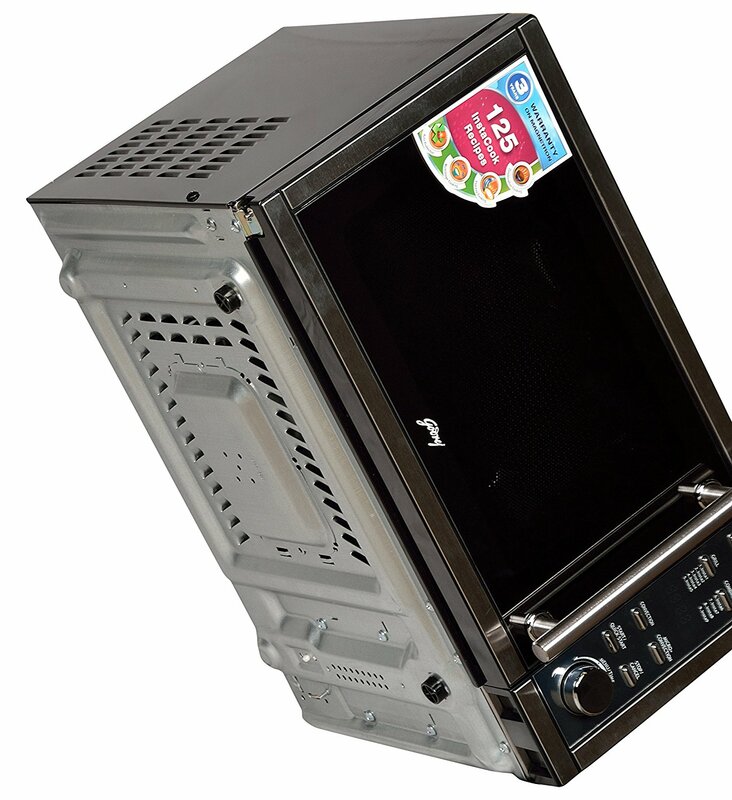 This 20-liter microwave unit also has a crusty plate and a grill rack, which are great to make grilled dishes. Keeping safety as the first priority, it comes with malfunction protection that automatically shuts down enabling the auto protection feature. On the other hand, the deodorizer function keeps the oven free from odors. Other important features are combination cooking, 11 power levels, digital display, steam clean bowl and 125 auto cook menus.